As you can see this skin has been redone with 2 new skins, orange and blue. I will also leave the old files to download if you don't like the new looks. 5. 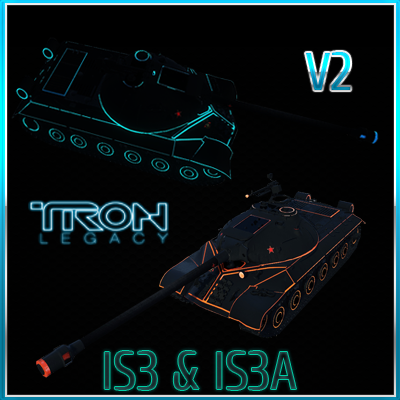 Adding black turret for is3 A (Added) Is3 and Is3a files are the same so just install the file as instructed on the main post. Fix Red Track issue if possible with 9.15 bug Add Is3 A to this skin Fix Track/Wheels Glow Make some small enhancements to skin. Progress - New files not uploaded atm. Hello patch 9.15 has changed the look of the wheels! I'll fix this soon.